The performance of logistics networks has made a considerable leap in recent decades. With a development capacity and degree of competition that leave little influence to public corrective actions, it is engendering increasing environmental and societal damage. • by means of routing protocols, interoperability and traceability standards, remuneration rules, compensation mechanisms and new trade configurations. The book explores the Physical Internet in great detail, showing up its promise and its limitations. The book outlines the essential components, puts forward a framework for specification and analysis, and highlights the dimensions yet to be investigated. 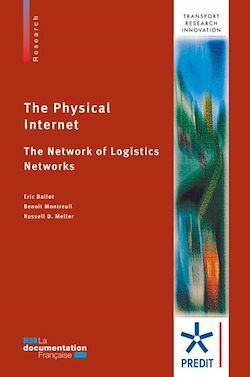 Above all, based on illustrative simulations, it confirms the major benefit of the Physical Internet, increasing the cost efficiency of logistics while decreasing its environmental impact - a rare combination.